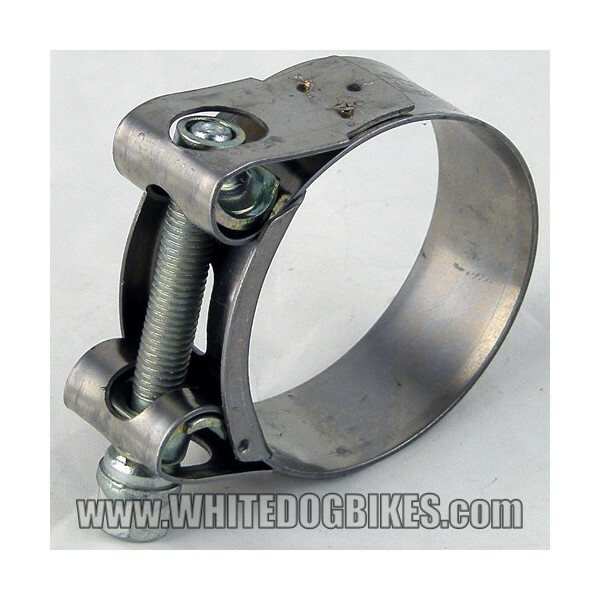 Universal motorbike exhaust downpipe, collector box or end can clamps available in sizes from 34mm (3.4cm) to 79mm (7.9cm). 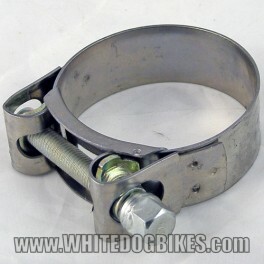 Simple to fit universal motorcycle exhaust clamps made by Mikalor. 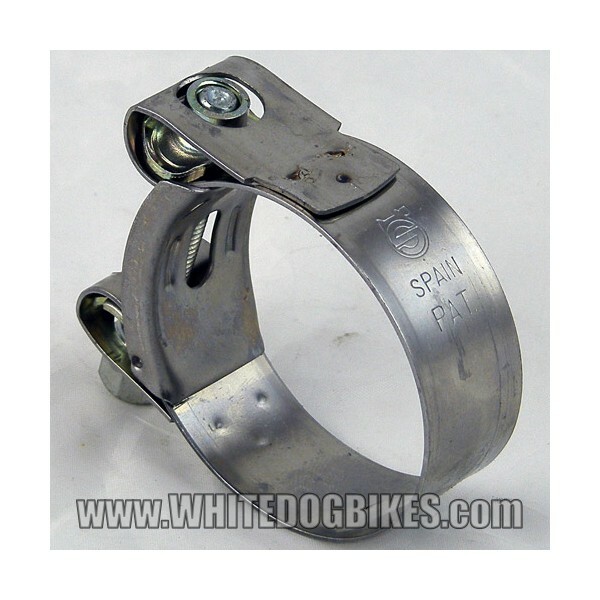 The Mikalor exhaust clamp collars are made from stainless steel and the bolt is made from zinc plated steel for extra durability. 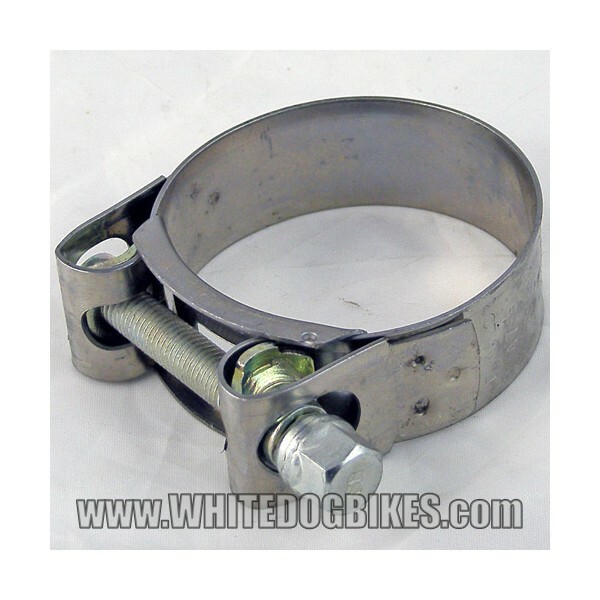 Please note - The diameter is measured across the middle of the exhaust clamp.